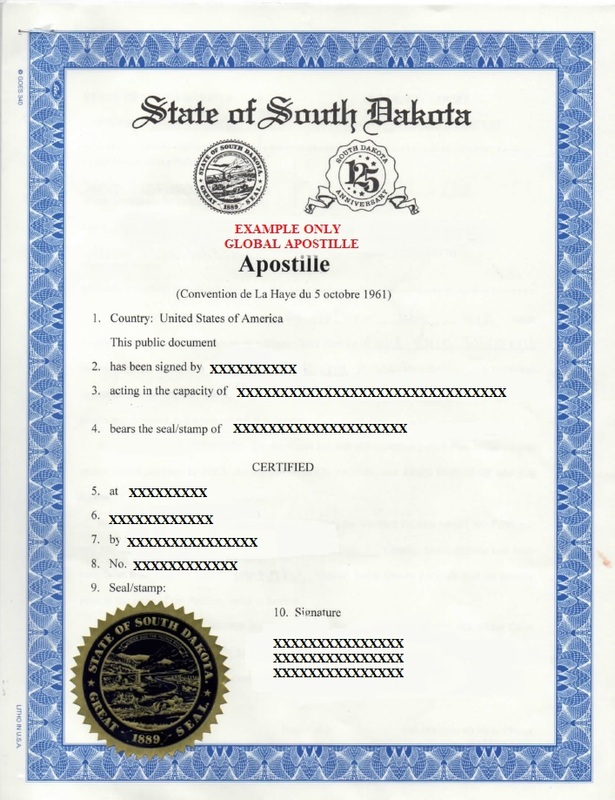 Do you have a document issued in the state of South Dakota? Do you have to present this document in a foreign country? Please use the blue Contact form to email us your request and specify the country where the document is going to be used. You can also upload a scanned copy of your document so we can review it (free of charge) and let you know if the document is ready to be apostilled. "Thank you SO much. You have been extremely helpful through this whole process."